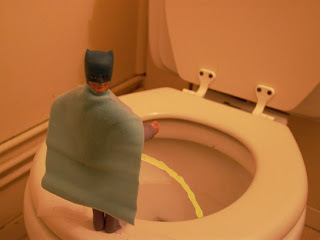 When Batman's got to go. He's got to go. 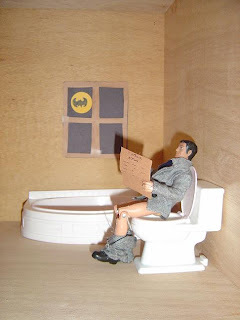 Here's a couple of pics I found of Batman taking a restroom break. In these pics you can the Montgomery Wards exclusive Mego alter ego Bruce Wayne and the Mego painted cowl Batman action figures.